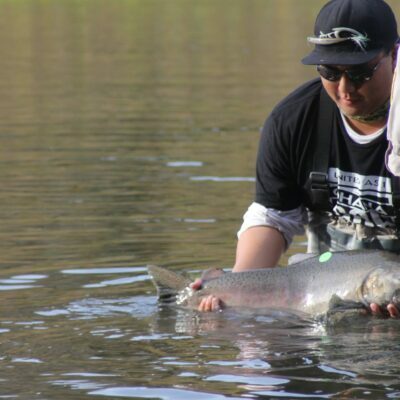 Consider some of the major factors in the decline of native salmon, steelhead and trout in North America. Extensive loss of habitat from dams and other development. Too much water diverted from streams. 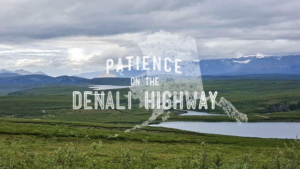 Degraded water quality from poorly maintained roads and leaky old mines. In California, you can add cannabis cultivation to this list of freshwater fish woes. Cannabis grows have a huge impact on salmon and steelhead here as they tend to be located on small headwater tributaries where fish are born and grow over the summer, when streamflows are naturally very low. It does not take much diversion or pollution to do a great deal of damage. But on Tuesday of this week the Golden State took a big step forward in the effort to reduce the environmental impacts of growing cannabis—and Trout Unlimited had a hand in this strong conservation outcome. 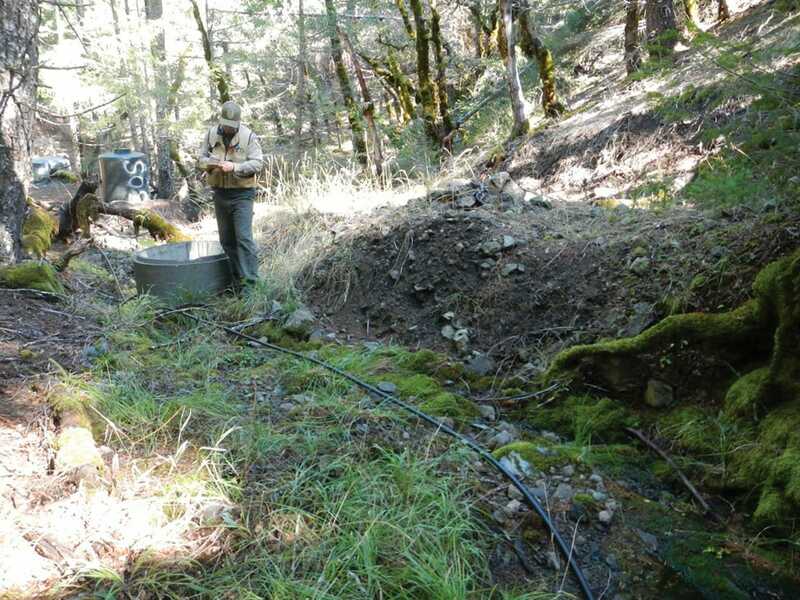 While TU takes no position on whether cannabis use should be legal for any purpose, we have been working in recent years to restore the many salmon and steelhead streams in California degraded by illegal water diversions, pesticide runoff, and other impacts associated with cannabis cultivation. This work has included conducting outreach to legal growers about California’s system of water rights and regulations, as well as advocacy in Sacramento on protecting and restoring fish habitat affected by pot growing. In 1996, California became the first state to legalize cannabis (marijuana) use for medical purposes. Since then there has been a considerable expansion of acres under production, both on private property and in illegal “trespass grows,” mostly on public lands. 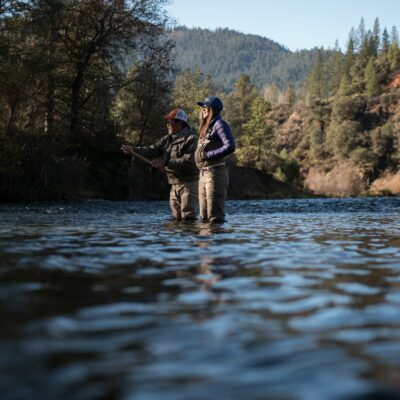 The trespass grows, in particular, have devastated dozens of spawning and rearing tributaries for salmon and steelhead in watersheds such as the Eel, Mattole, and Garcia rivers. Last fall, California’s voters also passed a ballot measure legalizing recreational use of cannabis. Working together as the California Salmon and Steelhead Coalition, TU and our partners The Nature Conservancy and California Trout helped make sure the measure included significant funding for restoration of habitat damaged by cannabis cultivation, water rights education and enforcement, and enforcement of state fish and wildlife laws. In Tuesday’s action, the State Water Resources Quality Control Board approved a suite of regulations called the Cannabis General Order. These regulations apply to all operations that grow medical or recreational cannabis, and include requirements to protect instream flows from water diversion and reduce pollution of streams by sediment, fertilizers, and pesticides. 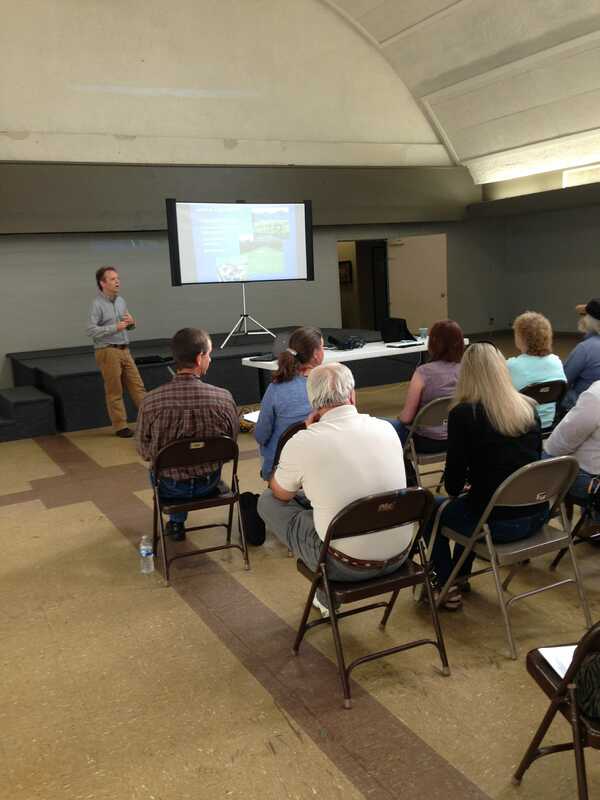 (R) TU’s California Water Attorney, Matt Clifford, giving a presentation on water rights, state water law, and their implications for agricultural operations. TU supported and helped draft the 2016 bill which authorized the provisions of the Cannabis General Order, and provided written input to the Water Board staff as the new regulations were being developed. The new rules protect instream flow in two principal ways. They prohibit pot growers from diverting water during the dry season (April through October). Second, they allow growers to divert during the wet season (November through March) only when streamflows are high, as measured by an approved local streamflow gauge. This means growers will have to divert and store water in the wet season to get licenses. In addition, the regulations set limits on how close growers can be to water sources and how much waste they can discharge. Such requirements vary based on the size and slope of the area they are cultivating. The rules are slated to go into effect by early December. 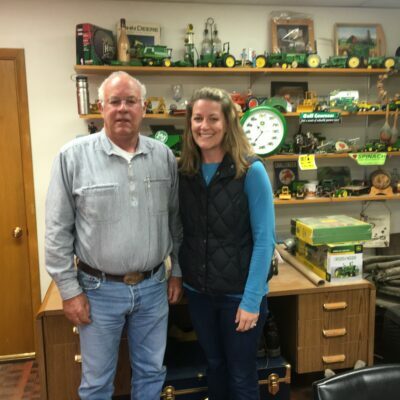 Depending on location, growers may also need permits from local government and from the state Departments of Fish and Wildlife and Food and Agriculture. It’s difficult to predict how well California’s new cannabis cultivation rules will work, as they are an unprecedented attempt to regulate a new industry in a state of flux. It is likely that a significant portion of cannabis production will remain illegal, as California grows much more pot than is consumed in-state. Thus, the rules should be viewed as a work in progress—they are not a cure-all for the many environmental impacts associated with cannabis cultivation, especially illegal grows, and they need to be coupled with a comprehensive and consistent law enforcement effort to achieve the state’s goals. 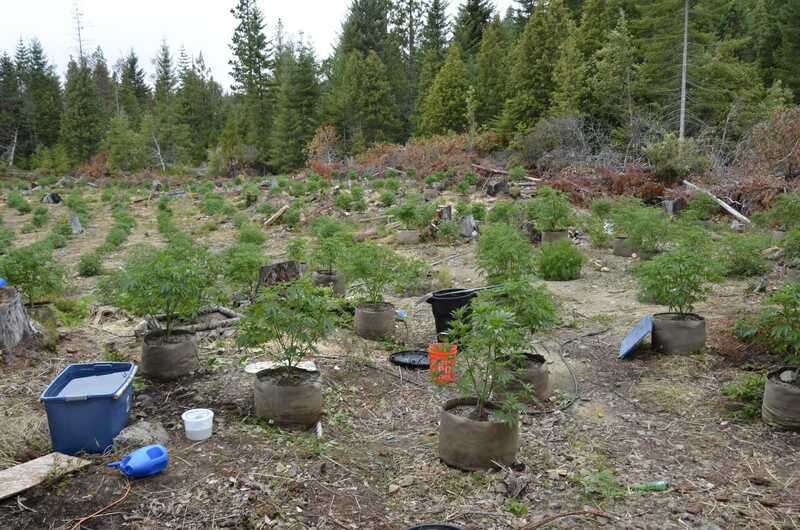 Photos of illegal cannabis grow sites courtesy of the California Department of Fish and Wildlife.